Got some cannabis-infused butter that you want to turn into special pot brownies? This weed brownie recipe has you covered, with step-by-step instructions so you make the best cannabis brownies possible. 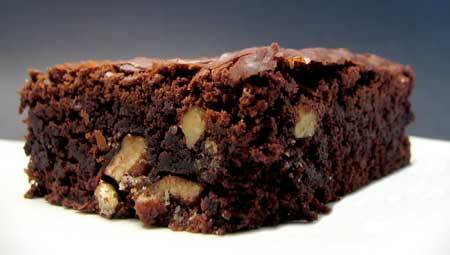 The idea behind the following recipes is to add as much butter as possible and still end up with tasty brownies! We want all the potency in our pot brownies, without the cannabis taste! The more of a cannabis taste in your canna butter, the more of a cannabis taste will end up in your brownies. Chocolate is one way to help mask the cannabis taste which is why brownies are such a popular choice. If you want potent weed butter with as little cannabis taste as possible, the best thing to do is make your own cannabutter! This allows you to customize the dosage, and by using water during the process to filter out the bad-tasting stuff, homemade cannabutter tastes better than 99% of the pot butter you can buy at the dispensaries! The Best Cannabis Brownie Recipe! Important Information About Dosing with Pot Brownies! Pour remaining cannabutter into the pan first, then pour brownie mix on top. This will let the additional butter soak into the bottom of the brownies. In a large saucepan, melt 1 cup cannabutter. Spread batter into a greased and floured 8-inch square pan. Bake in preheated oven for 25 to 30 minutes, until sides start to pull away from the edges and the center has set. Combine 3 tablespoons softened butter, 3 tablespoons cocoa, honey, 1 teaspoon vanilla extract, and 1 cup confectioners' sugar. Frost brownies while they are still warm! This recipe uses cake mix instead of brownie mix, which makes it a little lighter. Perfect for those who don't want "fudge-like" brownies, but still want something simple to make! I personally prefer a lighter brownie to a fudge-like brownie, and I've been happy with this pot brownie recipe for that purpose! Add cake mix, evaporated milk and nuts/chocolate (optional), and combine it into a thick batter. 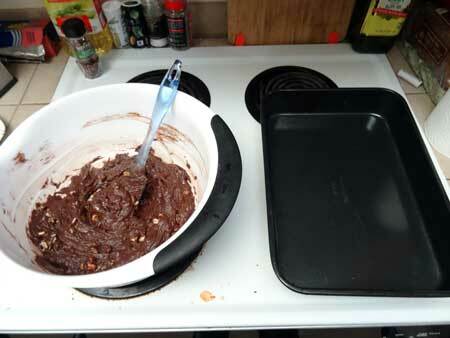 Spread batter into an ungreased 13" x 9" baking pan. It will be pretty thin, but should fill the whole pan. Bake for 10-15 minutes, or until edges start pulling away from the sides and the center is set. If you're unsure of your personal tolerance with cannabis edibles, only eat 1/2 or 1/4 of a brownie until you've better tested your tolerance. 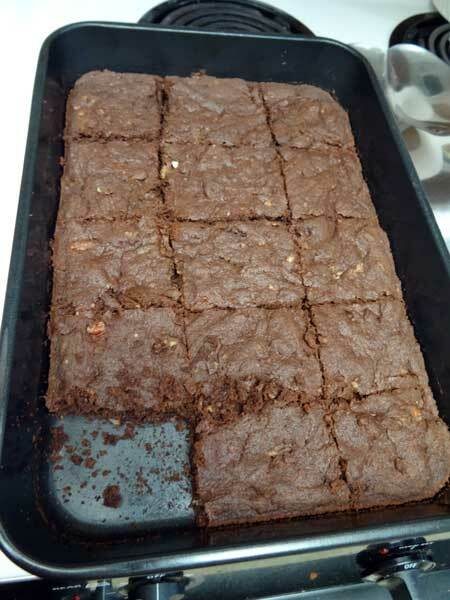 It can take 2-3 hours for a brownie (or any cannabis edible) to set in, especially on a full stomach, so it's not recommended to eat more edibles in that period. You can always eat more edibles, but you can't take them back! Note: The best marijuana brownies start with high-quality cannabutter! If your cannabutter isn't great to start, your brownies won't be as good as they could be. Learn how to make the best weed butter so you know the exact potency you're working with!